This year winter obviously decided to hang around for a bit longer. Well at least here in Slovenia. Most of the hills are still covered in deep snow. Fortunately for the last week or so the weather has been reasonably warm at lower altitudes. Two weeks ago or so we had the first sunny and quite warm day. Unfortunately that didn't last long. After that day cold northern winds started to blow and for the next week it was really cold and windy around here. In some places wind speed was even over 200 kilometers per hour (that is over 125 mph)! All sorts of things were flying around and many roads were occasionally closed due to overturned trucks. Here you can see how a fellow Slovenian blogger documented the situation. I hope now we are done with that and spring is finally coming. 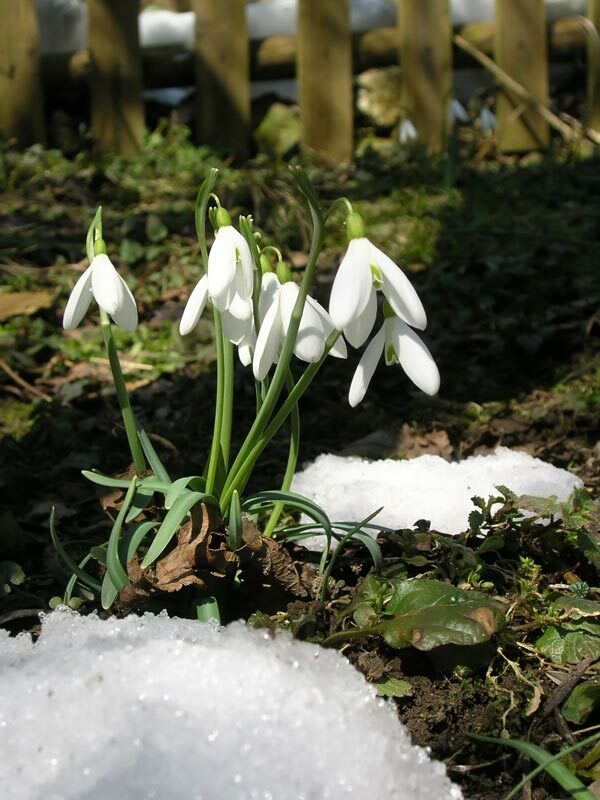 I have spotted some snowdrops in front of the house trying to break free from the snow. I am sure this is a good sign. It seems now we are looking at some warmer days at last. However if you are planning a trip to Slovenia and want to see some snow, it is still the right time to do it. If you prefer a bit warmer weather, you might want to wait a while longer. I suppose in a month most of the snow will be gone even in higher areas. However, high in the Alps it is quite common for the snow to last until the beginning of summer. Nice photography blog. You have beautifully maintained, you must tried this website which really helps to increase your traffic. hope u have a wonderful day & awaiting for more new post. Keep Blogging! Nive the white flower.Err how is it called by the way, anyone knwos? As the text says, those flowers are called "snowdrops".